Well, here we go again. I have started the painting of Bronco's Staghound. So far, I have done the base coat in Tamiya acrylics, lighter shades in the upper surfaces and darker in the lower ones. Then the decals and a protective coat of semi-gloss varnish. It is ready for the brush work. Empezamos de nuevo. 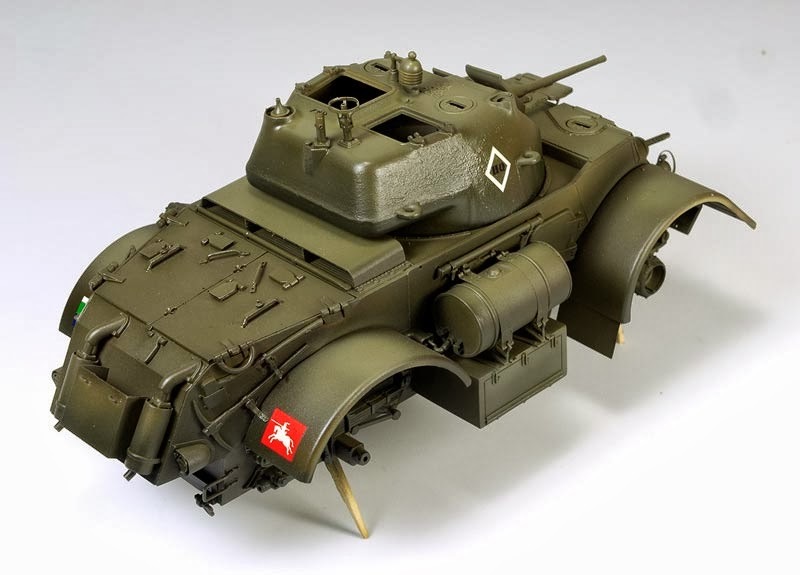 He aplicado la capa base sobre el Staghound de Bronco. 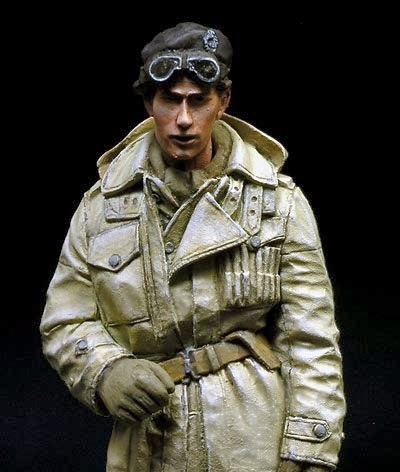 Como siempre, acrílicos de Tamiya, dando luces en las superficies superiores y sombras en las inferiores. Después las calcas suministradas en la caja y una capa de barniz para proteger el conjunto. Es tiempo de coger los pinceles otra vez. 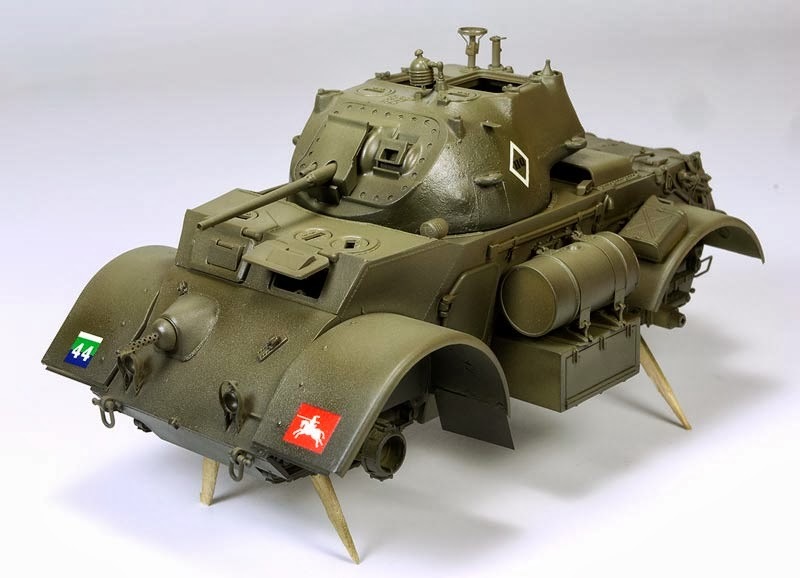 The Staghound is one of the models I would like to build. Yours is beautilully started so I will follow the next steps with a lot of interest. Happy modeling.